Last year’s advent calendar post did so well it was requested that I bring back the post earlier. All of the advent calendars are not out yet but I have a list from retailers and will continue to add. From Palais de Thès. I saw this one in person when I was in Paris. The price point is great and each day is a different sachet of tea from green, black, and rooibos. 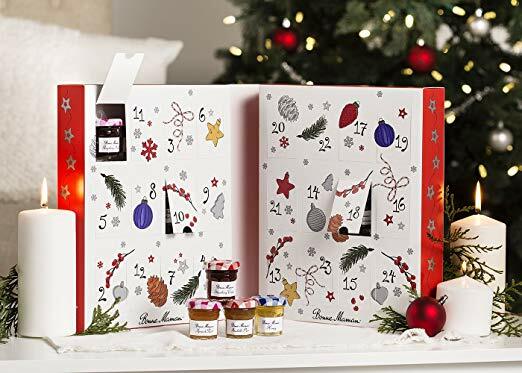 This adorable advent calendar from Bonne Maman has a different jam for each day. You can purchase it here for $29.99. They will start on sale as early as October 13.. It is such a cute idea for kids. I know my nephew will love this one! Angelina Advent. This one sold out very quickly last year! So if you have your eye on it, I would purchase it now before it is too late. The Diptyque Calendar is a bit of a splurge but totally worth it. Hint if you want to buy me a gift for the holidays. I would love this! This Molton Brown Advent Calendar is listed at $250. I absolutely love their body washes and have just run out. This would giving me a good stock of scented soaps, candles, and lotions well into the new year. Clarins has an Advent Calendar for a great price of only $60. Lately, I have been loving their double serum. For the skincare lover like myself, this makes a great gift. 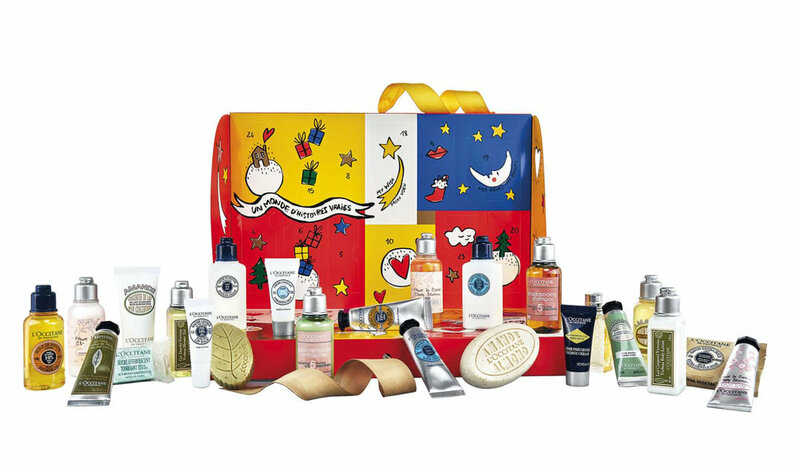 L’Occitane has a great advent calendar that is valued at over $100 and only $59. Each soap and lotion makes a great travel size for the person on the go. This Fortnum and Mason Advent Calendar is filled with tea. I am a big tea drinker especially in the Winter months. This makes a great gift too!